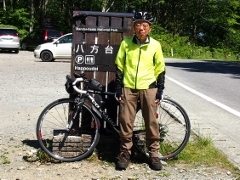 Today, as the second day of back home, I left Kawamata Town and pedaled to Hariyuso Inn of Tamura City, via Towa area of Nihonmatsu City and Funehiki area of Tamura City. 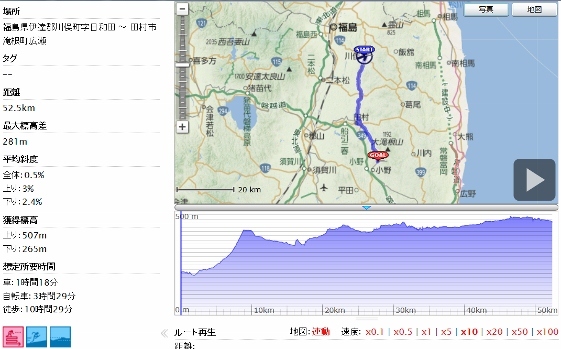 This was just the opposite course of outward tour using Route 349 and Pref. Road Route 19. 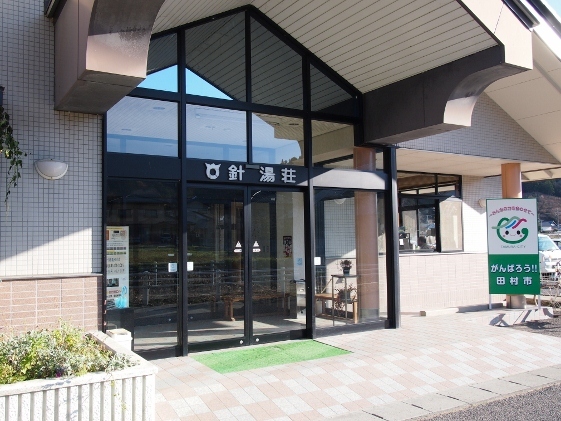 On the way, I stopped at Funehiki area in which the City Hall of Tamura City was located. 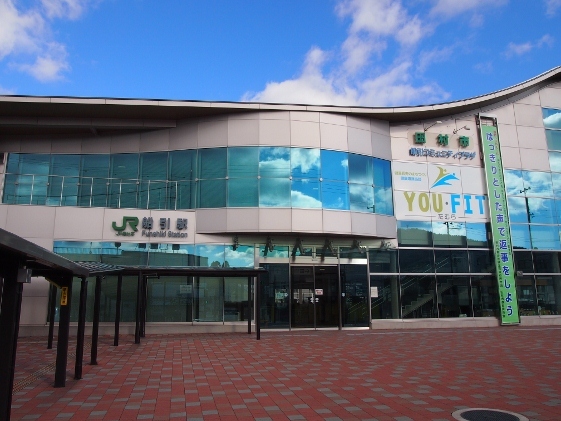 The picture shows elegant Funehiki Station of JR Ban-etsu East Line. 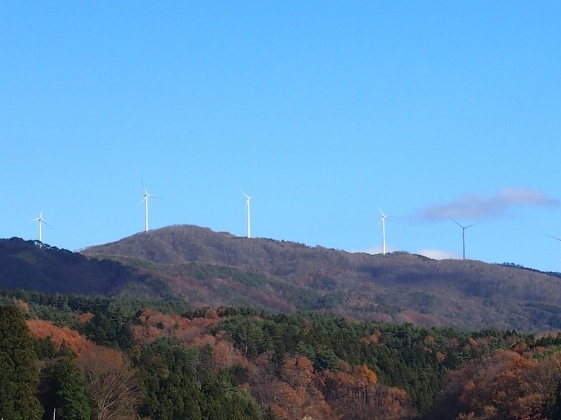 Entering Takinemachi area of Tamura City, I could find many wind turbines for wind power generation far on the Abukuma heights as shown in the pictures above. 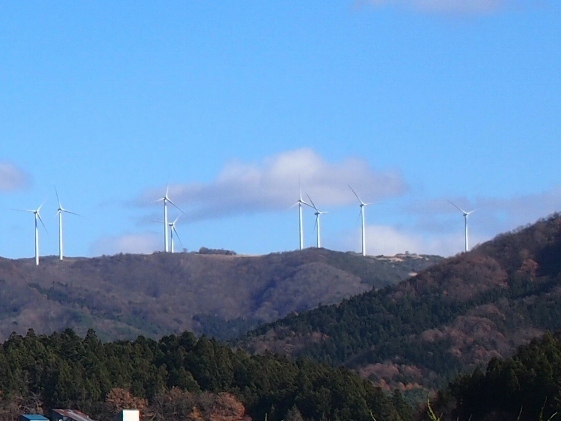 These were for the wind power plant which had been developed by Tamura City and Kawauchi Village. I could see more than 20 wind turbines. Today, I stayed at Hariyuso Inn which was a public inn operated by Tamura City. It had historic Hariyu Mineral Spring bath and was clouded with day use guests.